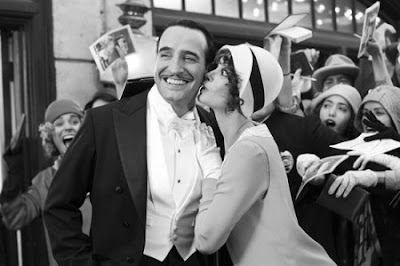 As we continue to schlep through another predictable awards season (and ponder how a silent film became a part of it), next year's Critics' Choice Awards may shake things up a bit with a few surprises. You'll notice in the full nomination list below many of the usual suspects, but you'll also need a nod to Saoirse Ronan for her touchingly vicious turn in Hanna. Also, Andy Serkis snatches the fifth best supporting actor nod for his ferocious turn in Rise of the Planet of the Apes. Goodness knows the campaign for his lifelike portrayal of an ape has been relentless (albeit questionable). It's a real shame the beautiful drama Pariah and the passionate documentary Black Power Mixtape (which I think could take the place of any of the doc nominees listed) couldn't make it on to this list. Don't even get me started criticizing why the lackluster movies The Help and The Tree of Life seem to be a mainstay this award season. Viola Davis was not the lead actress in The Help; Emma Stone was (insert eye roll here). But, on a good note, nomination Fast Five for best action movie was a ballsy move (at least it proves the Critics' Choice Awards have some personality). But I didn't really think Super 8 was anything to write home about, and if the kid from Extremely Loud and Incredibly Close is supposedly good in the movie, the trailer does nothing for him. What say you? George Clooney -- "The Descendants"
Leonardo DiCaprio -- "J. Edgar"
Jean Dujardin -- "The Artist"
Viola Davis -- "The Help"
Elizabeth Olsen -- "Martha Marcy May Marlene"
Meryl Streep -- "The Iron Lady"
Tilda Swinton -- "We Need to Talk About Kevin"
Charlize Theron -- "Young Adult"
Michelle Williams -- "My Week With Marilyn"
Kenneth Branagh -- "My Week With Marilyn"
Patton Oswalt -- "Young Adult"
Andy Serkis -- "Rise of the Planet of the Apes"
Bérénice Bejo -- "The Artist"
Jessica Chastain -- "The Help"
Octavia Spencer -- "The Help"
Shailene Woodley -- "The Descendants"
Elle Fanning -- "Super 8"
Thomas Horn -- "Extremely Loud & Incredibly Close"
Ezra Miller -- "We Need to Talk About Kevin"
Stephen Daldry -- "Extremely Loud & Incredibly Close"
Michel Hazanavicius -- "The Artist"
Alexander Payne -- "The Descendants"
Nicolas Winding Refn -- "Drive"
Steven Spielberg -- "War Horse"
The Critics' Choice Awards are schedule to air on January 12, 2012. Two things I don't completely understand: (1) everybody's fascination with Moneyball. I'd give it only a "best adapted screenplay" nomination for making baseball statistics interesting. Back in my day, that's what was used by young men to extend their sexual performance (thinking about baseball statistics ;-). And (2) OK, Lars von Trier was an idiot at the end of his press conference in Cannes and even got his history wrong (his whole film was based on an anti-Nazi tradition of "defeatist/degenerate art") but why the shut-out of Melancholia which was SO MUCH BETTER than Tree of Life (and I'm a Catholic priest saying this). Tree of Life was okay. Thank God Terrence Malick had the courage to make the movie. It broke a decades long drought of serious Hollywood endorsed movies with an explicitly religious theme. But Malick's film couldn't hold twig to Melancholia.